Roger Federer, who is among the elite eight singles players for the 14th straight year, insists he still gets a buzz from competing at the season finale. "I haven't had issues being motivated for this tournament," said Federer. "I looked forward to it and as it was a priority I played better. "The idea of playing fellow Top 10 rivals gets me going, gets me really excited. I don't relax on making it to the Finals, then go out and lose three crushing defeats. I don't want to finish the year that way. The Swiss begins his quest for a seventh title at the ATP World Tour Finals against Tomas Berdych on Sunday night in Group Stan Smith. Novak Djokovic and Kei Nishikori are also in the round robin group. "All the players that are here have achieved the goal," added Federer. "It is a big goal to be here, the atmosphere is great. It is prestigious, one of the best events." 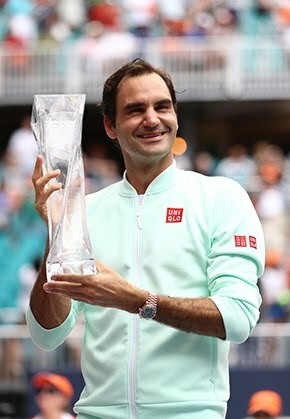 Federer has a 59-10 match record on the season, including six titles. 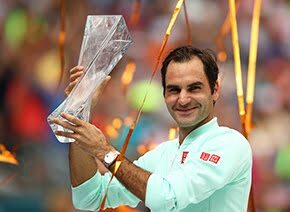 He became the third player in ATP World Tour history (after Jimmy Connors and Ivan Lendl) to record 1,000 match wins in January.